1.2 step 2: By Using Connect2 App for Transfer Data From Android To PC. We often connect our phone to the computer with the help of a USB for transferring data. But you can’t carry or have USB all the time with yourself but any situation or time when you have to need to move data from PC to Android phone or vice verse in school or any other place, then it becomes difficult to it. Here are the Steps to transfer data conveniently. 1. You should have the same WiFi network connection on the computer or your Android phone. 3. 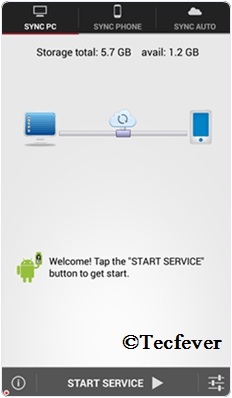 Install that app on your Android phone and click on start service. 4. 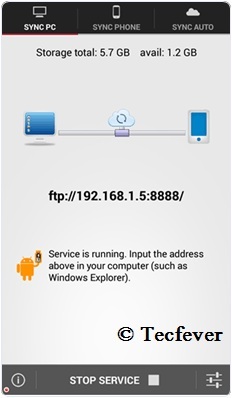 It will give you ftp://192.168.1.5:8888 address, just copy the address or fill into your computer address bar and tap Enter. It will show you storage folder where your all files saved now you can transfers the data from your Android device to a computer or vice verse. step 2: By Using Connect2 App for Transfer Data From Android To PC. Connect2 is a very useful app that allows users to send files and media from one Android device to another at rather very great speeds. It uses WiFi direct for the purpose. There is also a Windows client application available of Connect2. 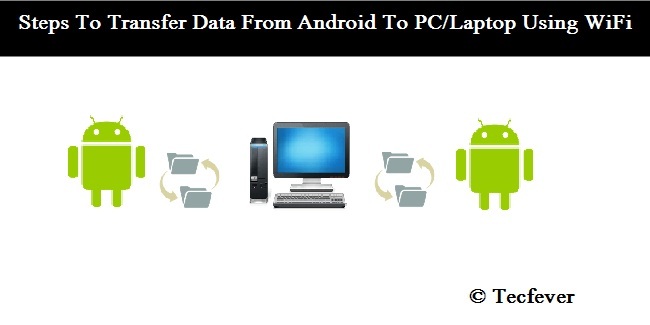 This app allows users to transfer files and data from Android to PC easily. It is rather easy to do so working Connect2 because people are already familiar to Connect2 on a daily basis. 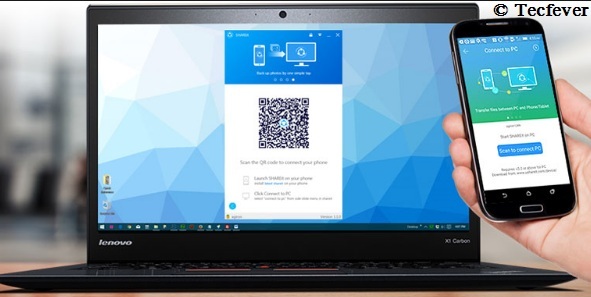 Step 1: Download and install the Connect2 app on your PC. Step 3: Open the Connect2 app on your PC and click on receive Button. Now you can transfer any file from Android device to your PC OR Computer at high speed. We hope You read about Transfer Data From Android To Laptop Using WiFi. now you can connect your PC with Android device. 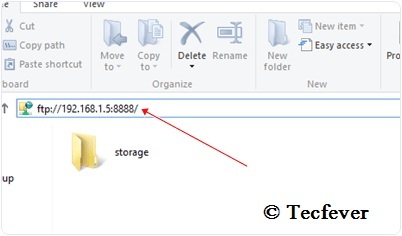 Now you are ready to transfer file with high-speed data transfer method. Any problem OR Suggestions Just comment here OR Email us. We always here to help you. Thanks for reading. Come back and enjoy latest updates from Tec Fever. Comment below if you know more methods about this article. and help the people. We are always here to help you guys. Keep in touch. Thanks for Being a part of us.